"Great original stuff from this songmeister, James is a true talent, refreshingly inventive and accessible." Thirteen Moons (2013) Click to hear tracks from this album. 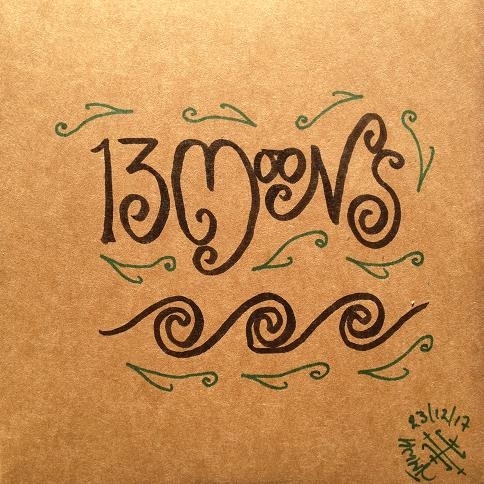 13 Moons features the awesome talents of Sean McBride (flute), Sandro Granda (percussion), Bristol's songwriter extraordinaire Jason Flinter, Cheryl Aucott (drums), and closing with one of James' songs recorded with the mighty JEBO. 13. Far away from Home (performed by JEBO). 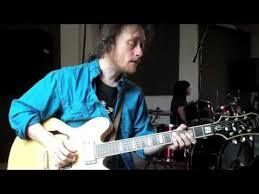 The album's title derives from there being 13 Moon cycles in one year, following on from James' numerologically inspired album cycle, which began in 2007 with Seventh String. 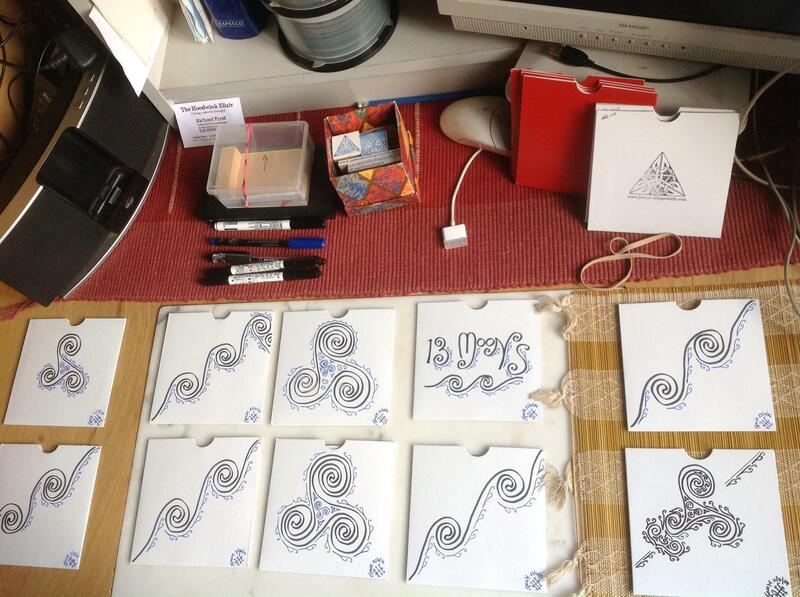 13 Moons comes with James' hand-drawn design - please note that these are now produced with natural brown card sleeves. If you'd like a copy, get it here for £10 (running time is a monster 73 mins 55 seconds), thanks in advance! The album opens with the bright pop-rock sound of 'Breathing it in', which started as a paid vocal session with Jason Flinter, with positive lyrics by Jackie Spindley. Nobody seemed to be adopting the song so James stepped in to create the final mix for the album. Both Privately Minded and Sea of Enrichment were co-written by James and Jason. Privately Minded was originally twice the tempo of the version that appears here, but a quirk of serendipity created a slower version which James actually preferred! Clouds Begin their Reign was written by Jason with James' voice in mind, an original tribute (the pun in the song's title included!) 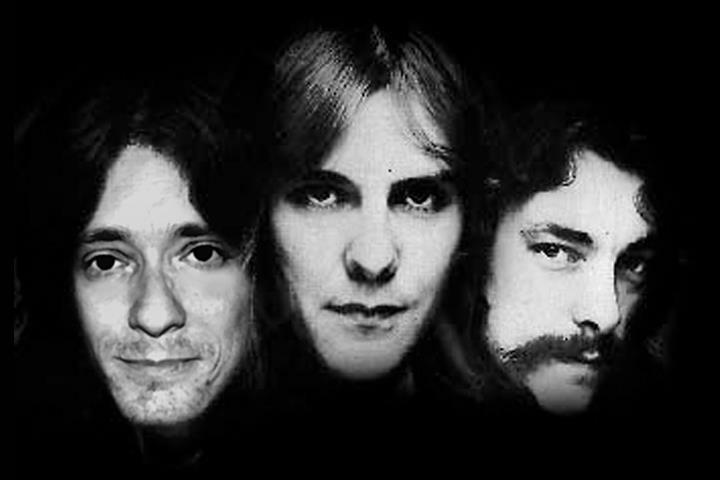 to the great Canadian Rock and Roll Hall of Fame inductees, Rush. James was delighted to be invited to sing, long having been a fan of the band. The version of James' often-requested Faster than Light recorded with Sean McBride (flute), Sandro Granda (percussion) way back in 2007 remains James' favourite recording of the song. The album includes a couple of blasts from the past for those unfamiliar with James' work thus far and some Live Loops showcasing his mastery of the Boomerang III Phrase Sampler. Finally, to close the album, a majestic version of Far away from Home recorded with rock band JEBO - note that this version is James' mix, he and producer John Burns plan to remix in due course. 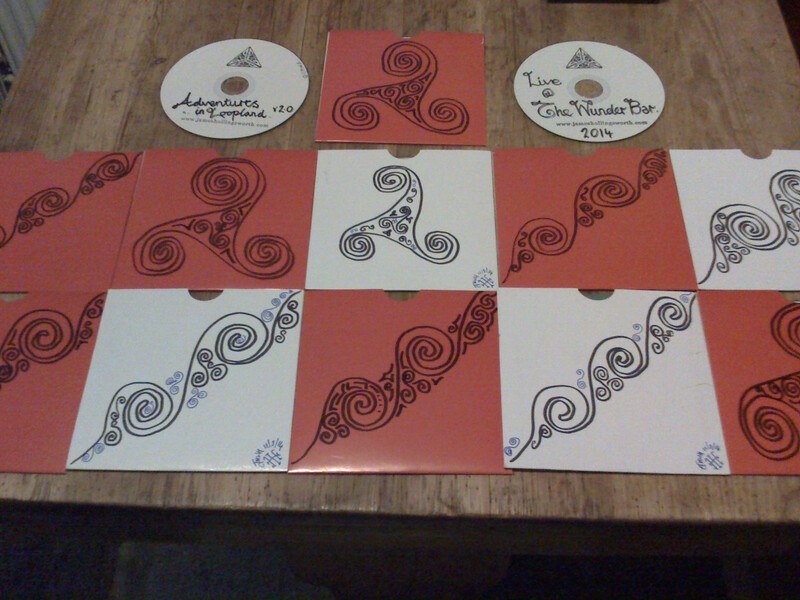 '13 Moons' direct from James securely online with Paypal for £10.